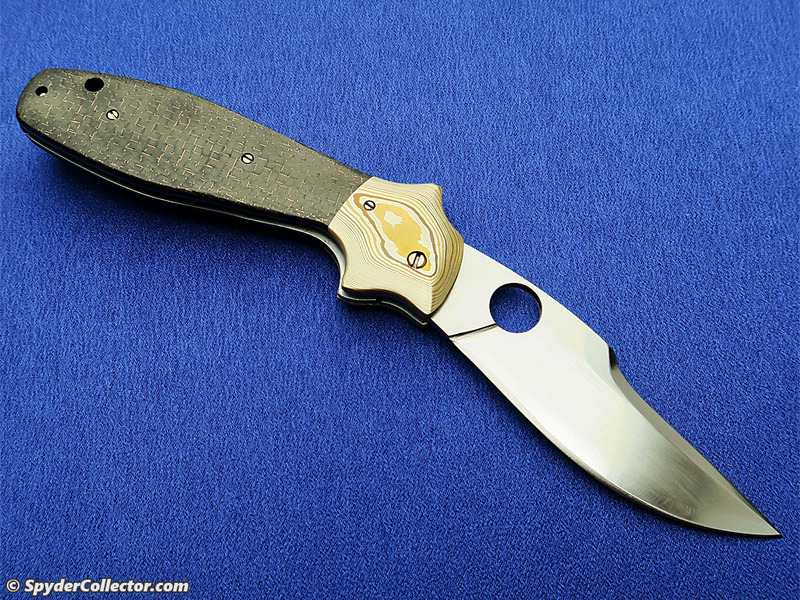 This video is a little experiment with my new computer and video-editing software. 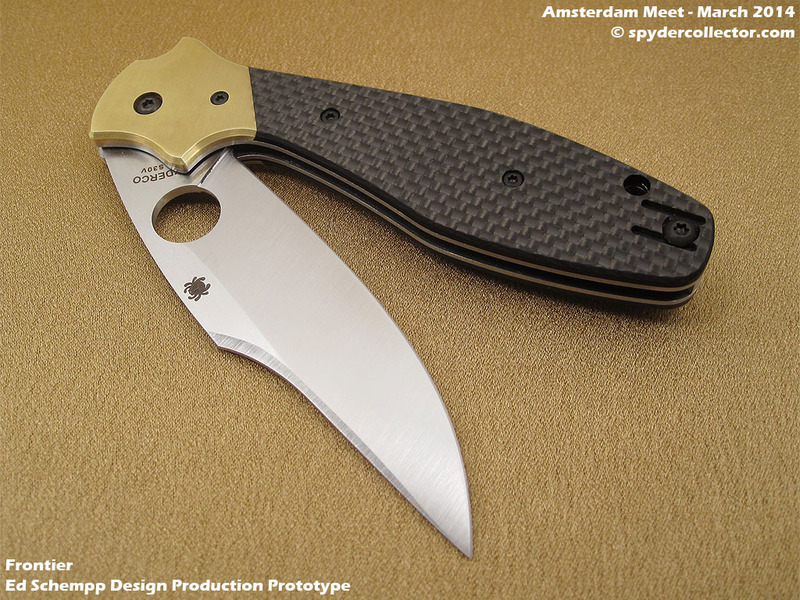 I used some older footage I shot during the 2014 Spyderco Amsterdam Meet, where Spyderco presented their then-new prototypes. 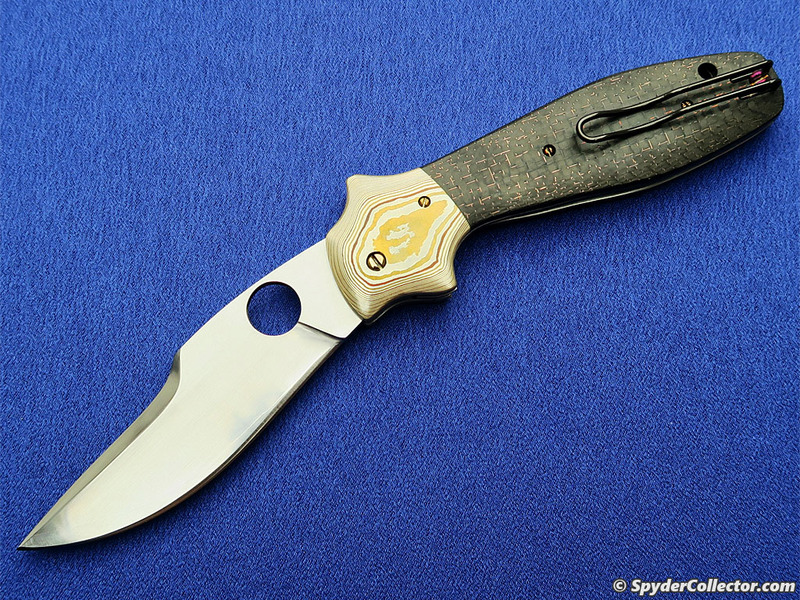 The last Spyderco prototype I got on video this year, is the Ed Schempp Frontier. 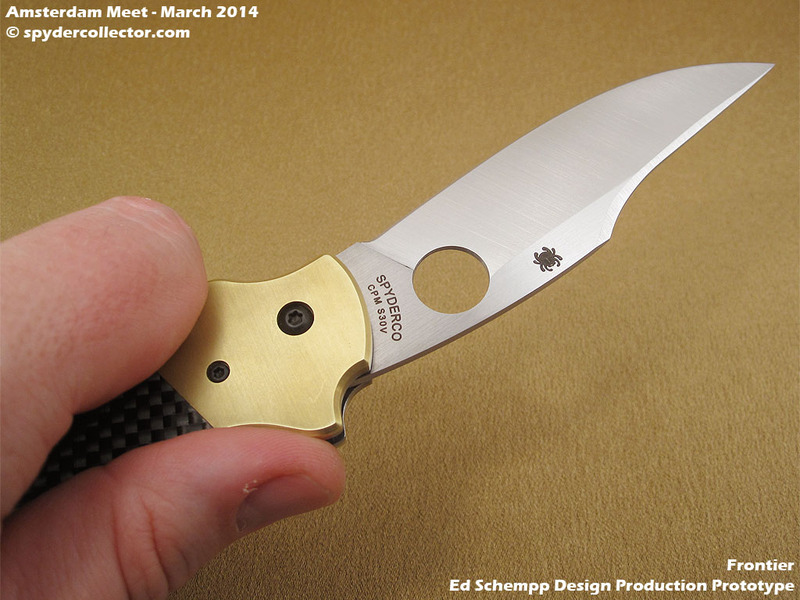 This knife was my number one favorite of all the prototypes Spyderco showed this year. 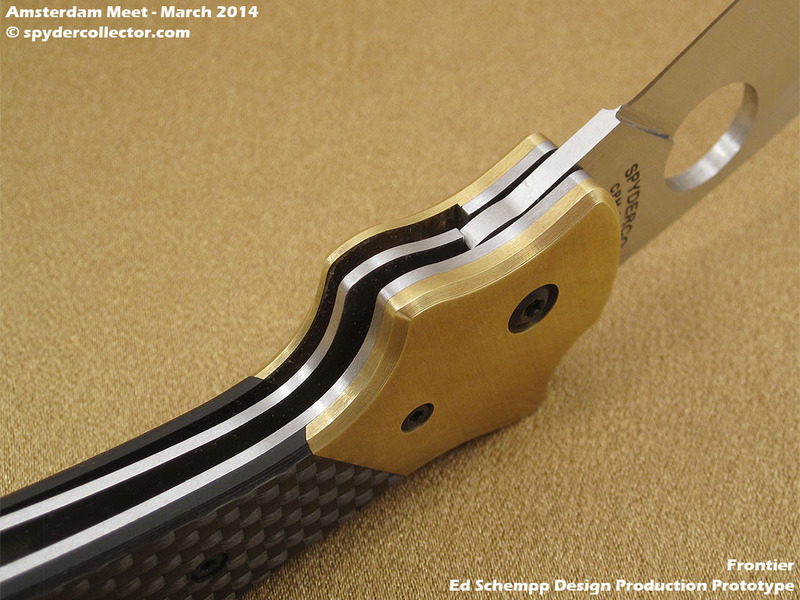 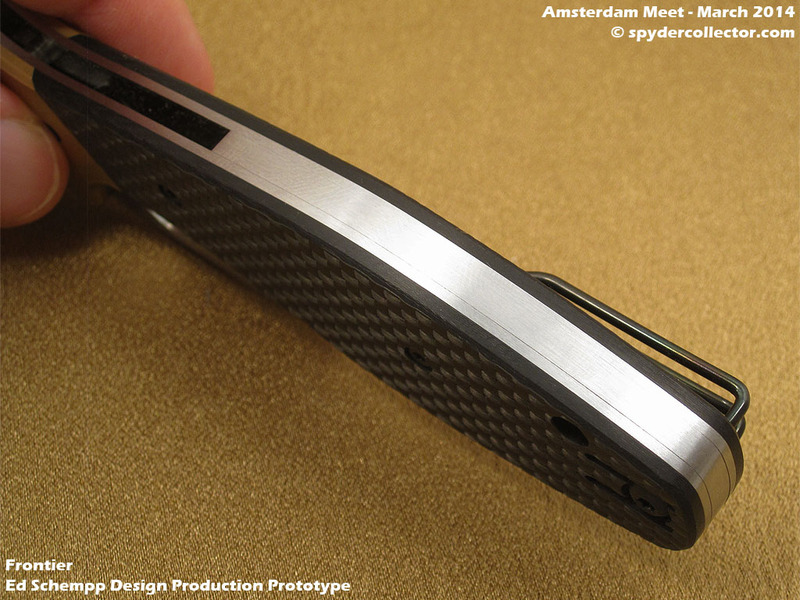 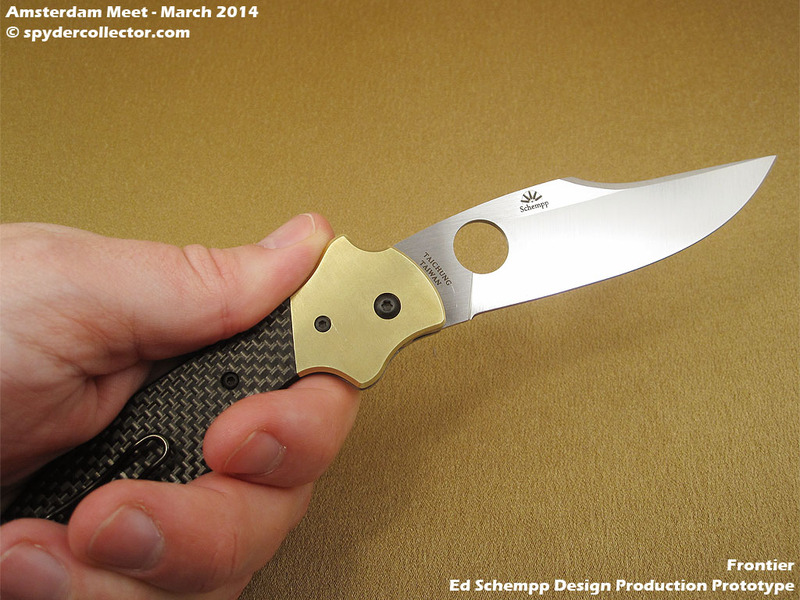 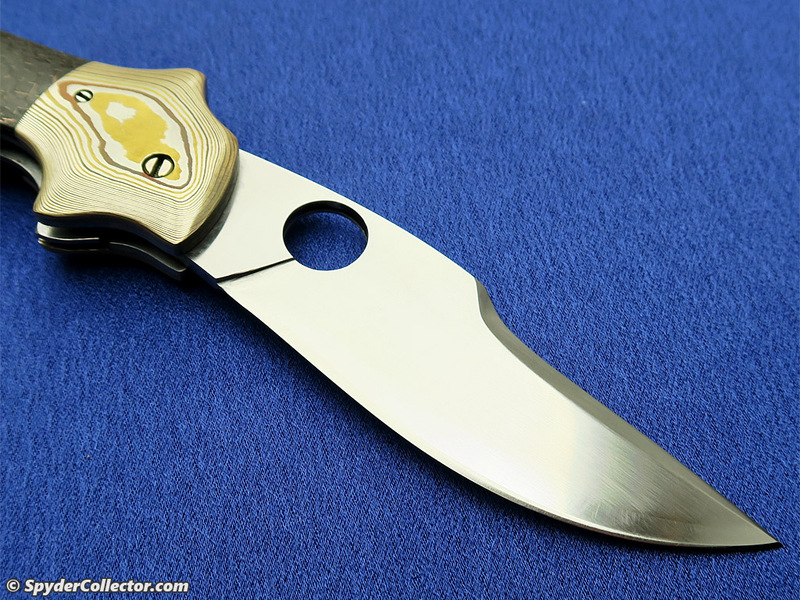 This Ed Schempp design will be a great addition to the Spyderco series of ethnic folders. 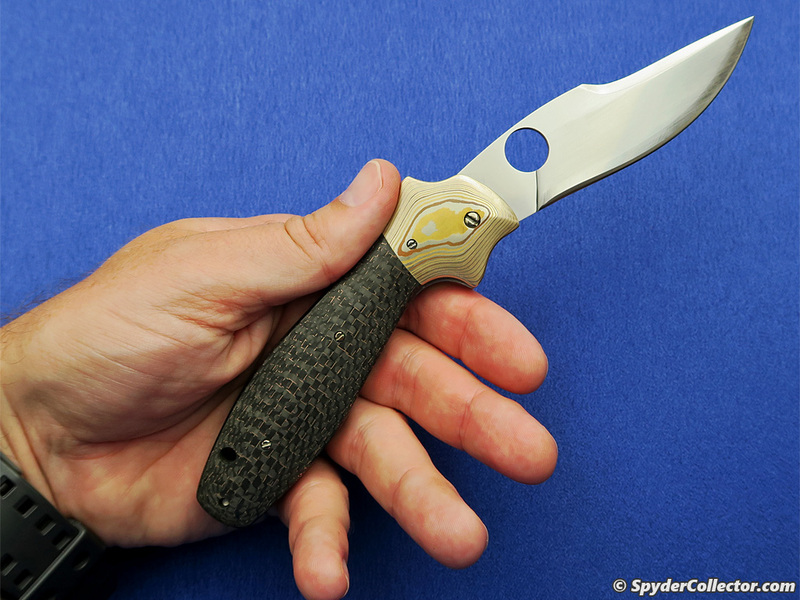 Eric Glesser from Spyderco gives a quick tour of this knife at the IWA Show in Germany. 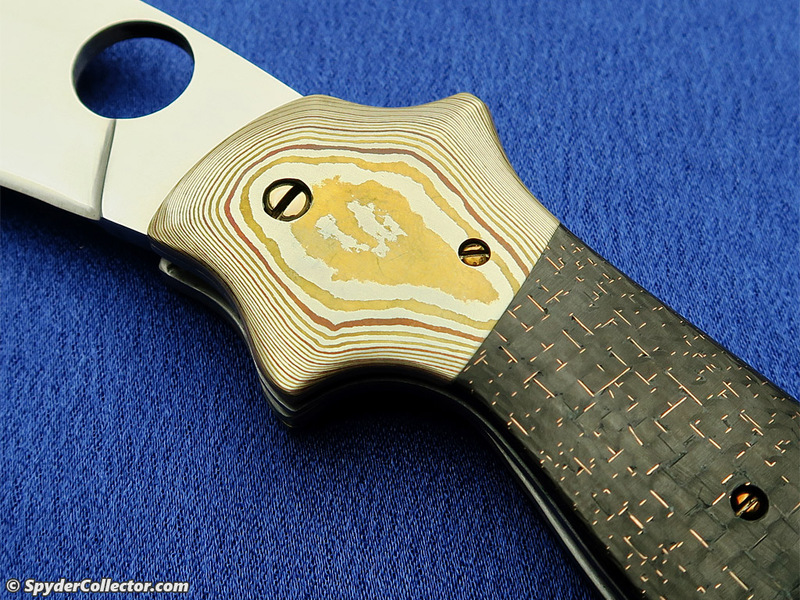 For a close-up view of the Frontier, check out this entry. 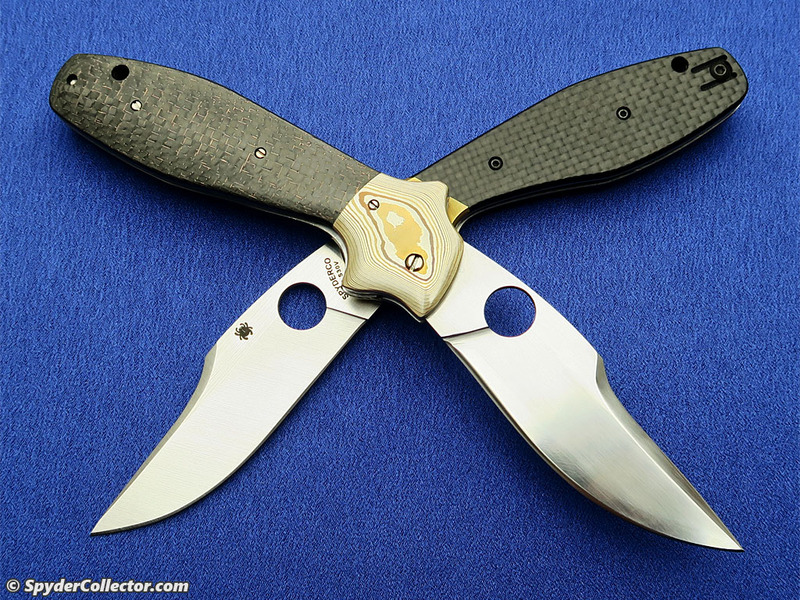 The Frontier will become the next addition to the Ethnic Series of Spyderco folding knives. 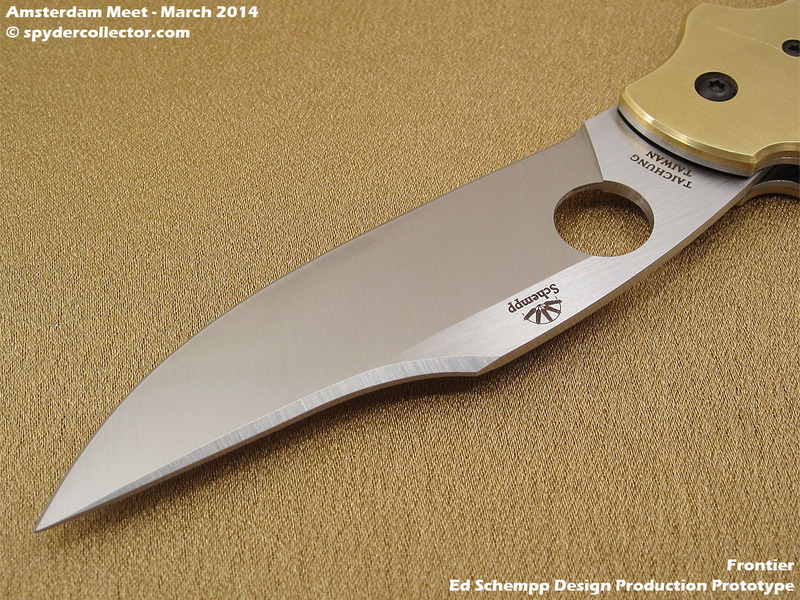 This design is based on the classic American bowie knife designs. 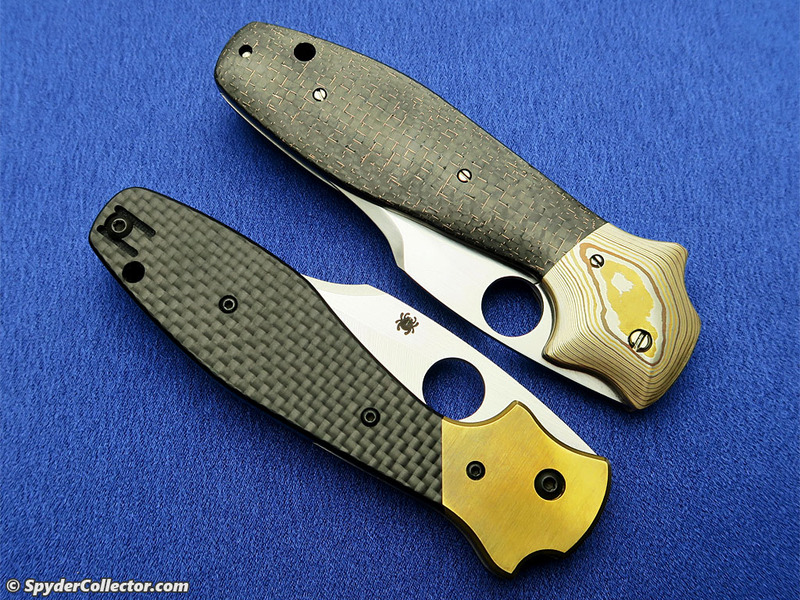 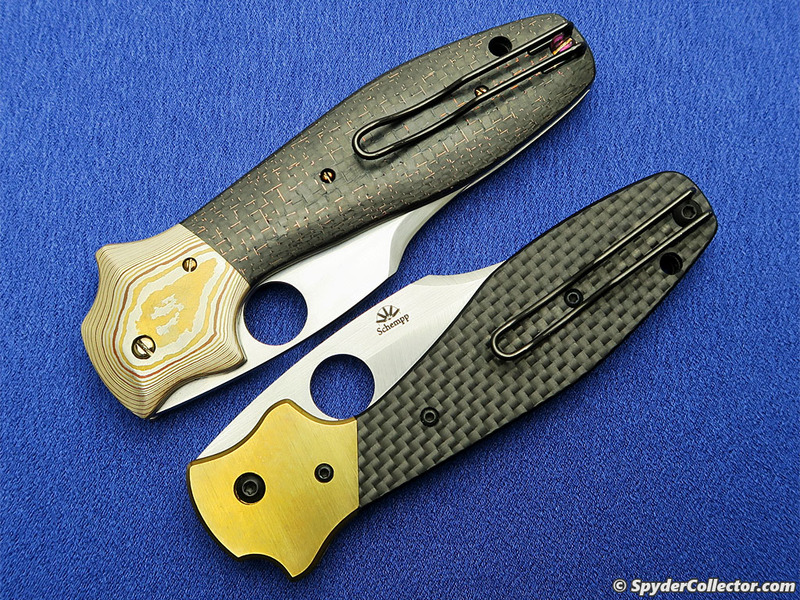 Last year, Spyderco showed four sizes of the Frontier. 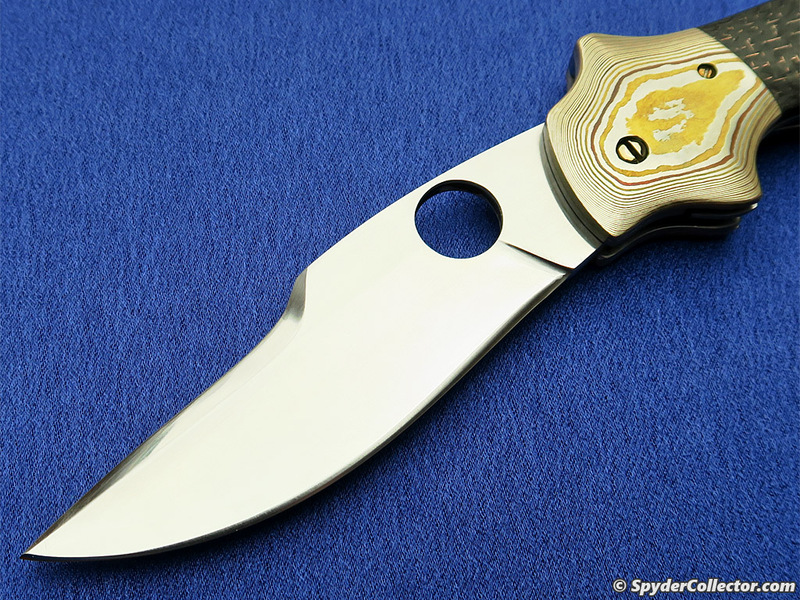 My personal favorite was the largest one, which had something like a 5 inch blade I think. 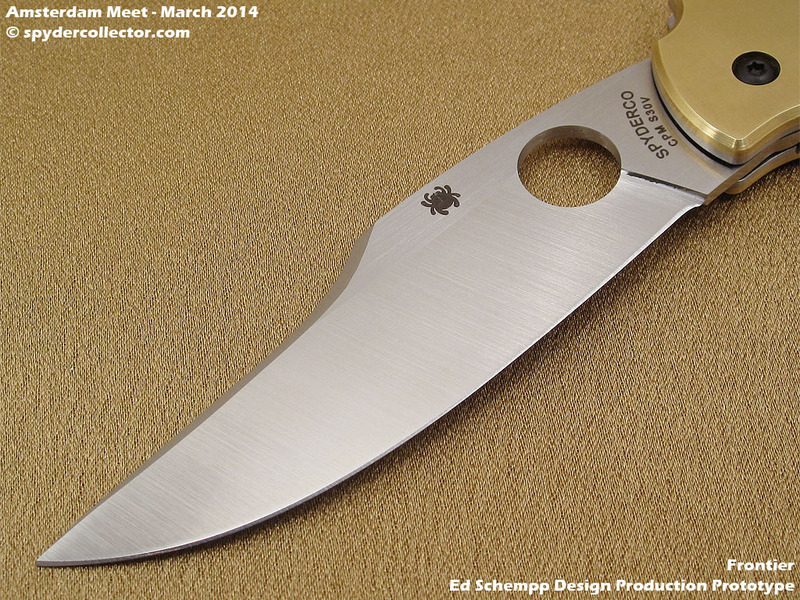 Eric Glesser favored the smallest one that had a 3 inch blade IIRC. 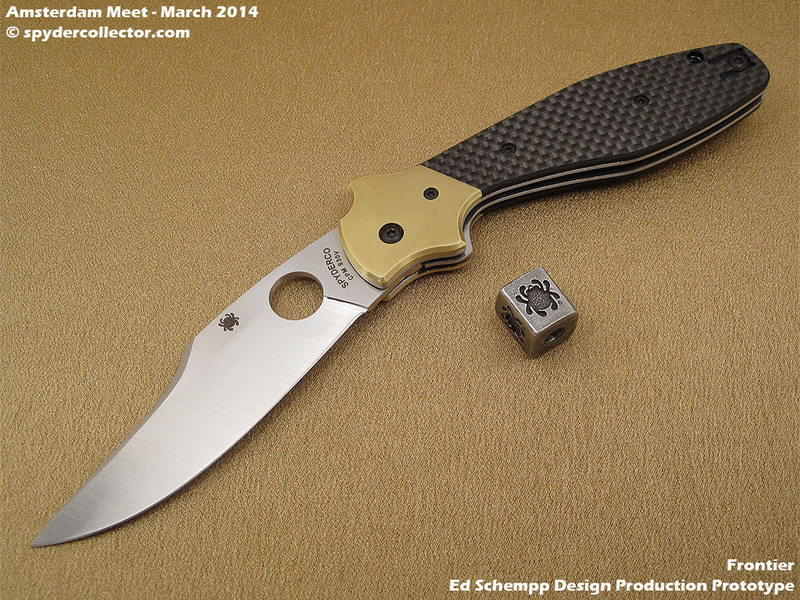 This prototype us a medium sized design, from that original series of beautiful custom folders by Ed Schempp. 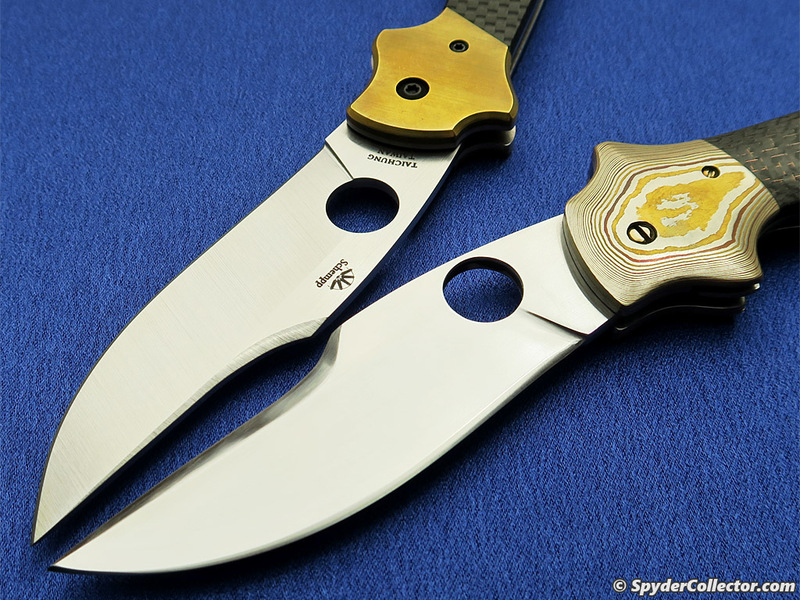 The Frontier features a Bowie shape blade and brass bolsters that mimic the classic S-shaped guard from classic bowie knives. 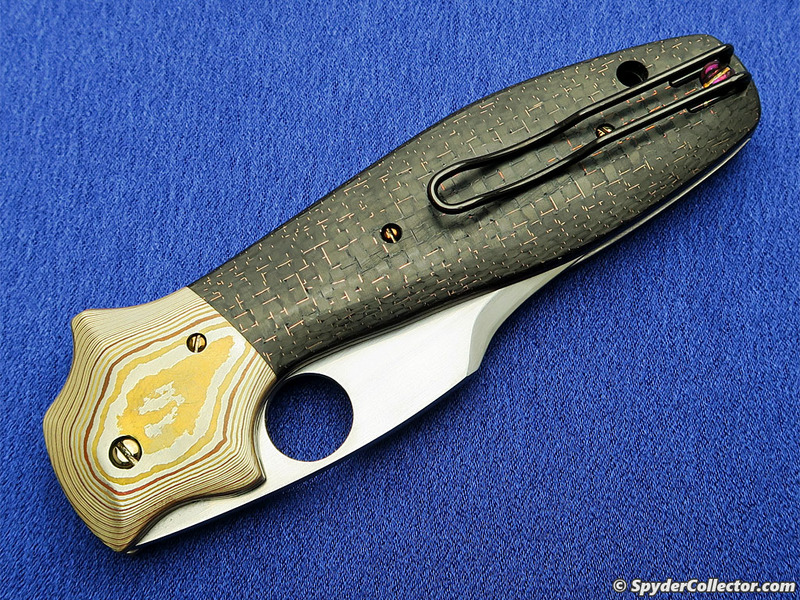 The handle on this ethnic folder is inspired by the classic coffin shaped bowie handles. 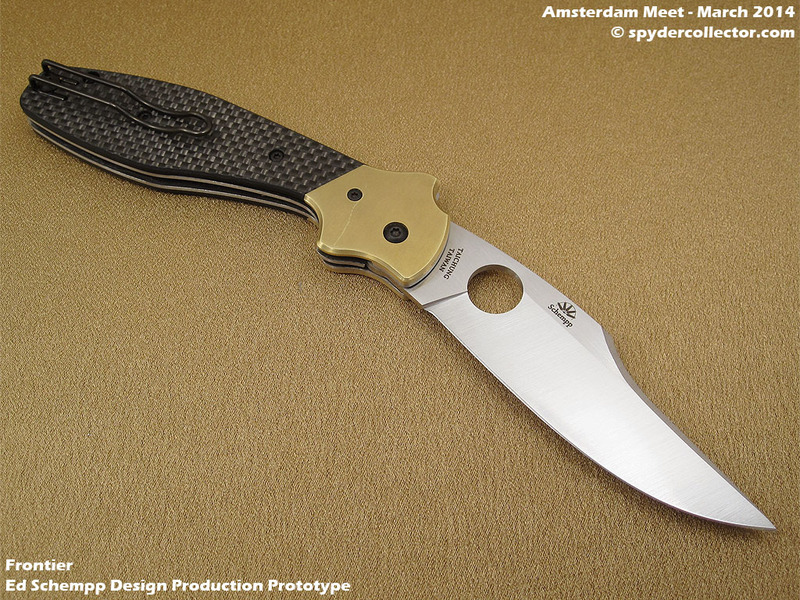 This prototype was probably my personal favorite from this edition of the Amsterdam Meet. 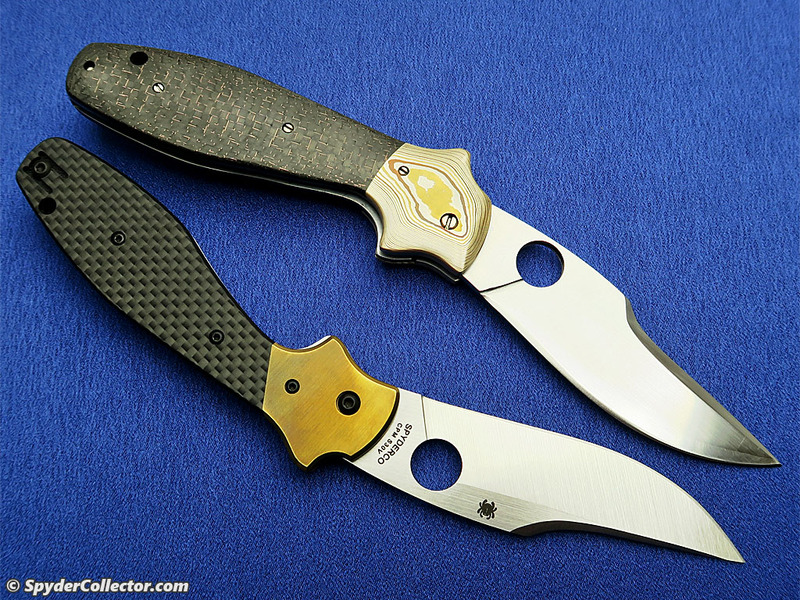 That is not much of a surprise, as the Frontier concept models were my favorites from last year’s meet. 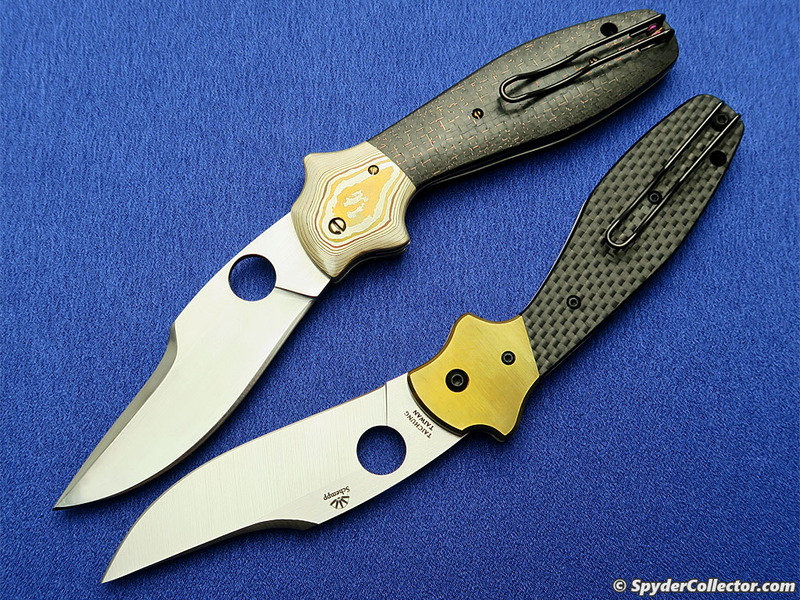 I’m a sucker for bowie knife designs, and I’m happy that Spyderco is taking up this pattern again after the excellent Chinook designs by James Keating. 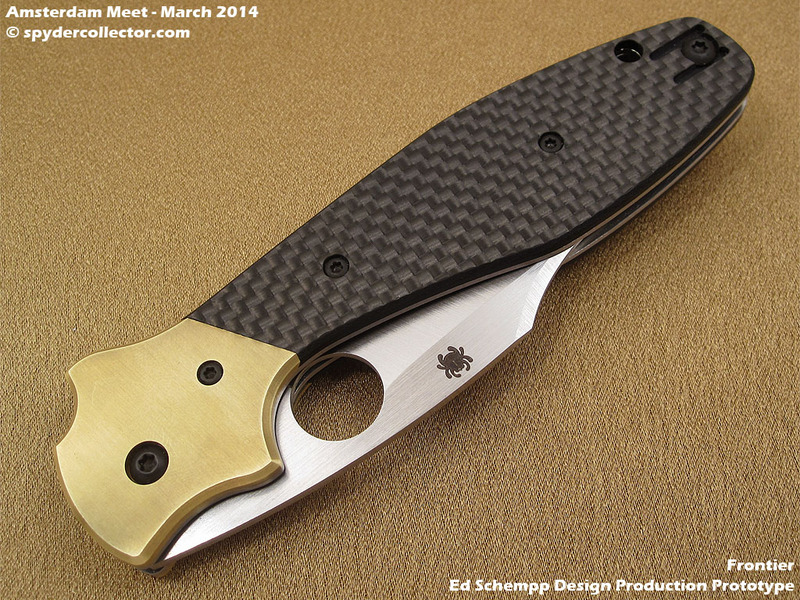 I appreciate the choice for this medium size. 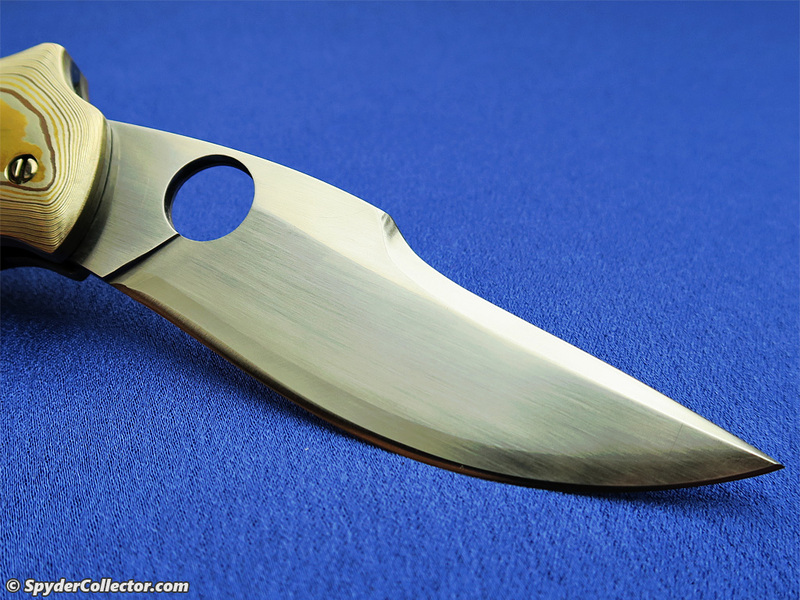 It makes the knife easier to carry, also from a legal point of view. 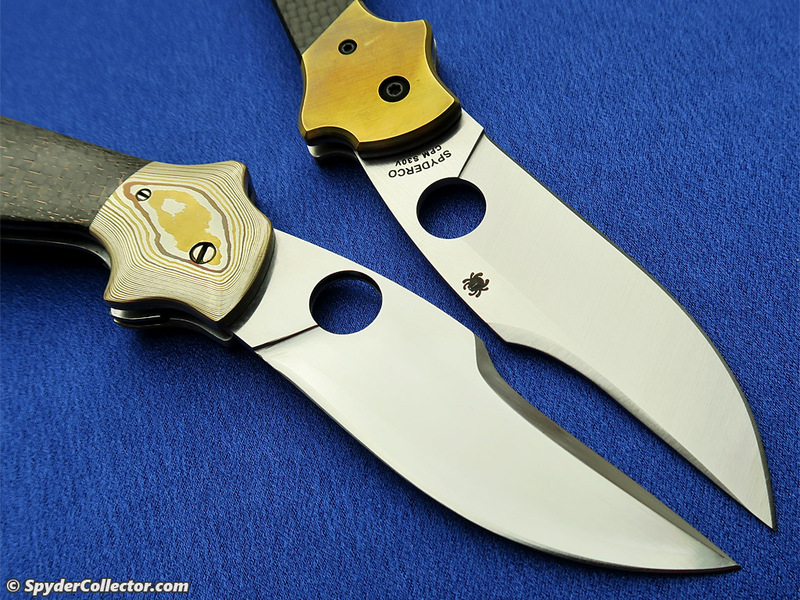 Visually however, the blade still seems the right (big) size that a bowie ‘should’ have. 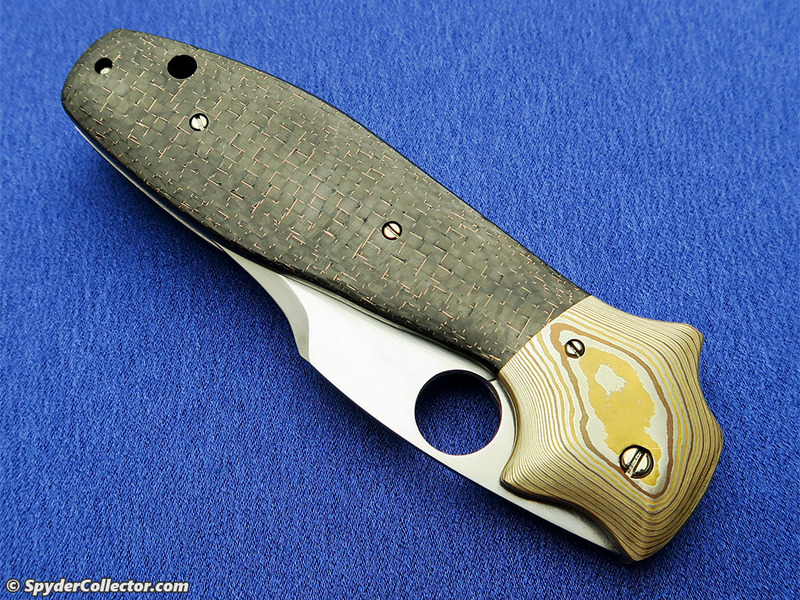 The handle was very ergonomic, as is the par for Ed Schempp designs, and it seemed comfortable to hold in a variety of grips. 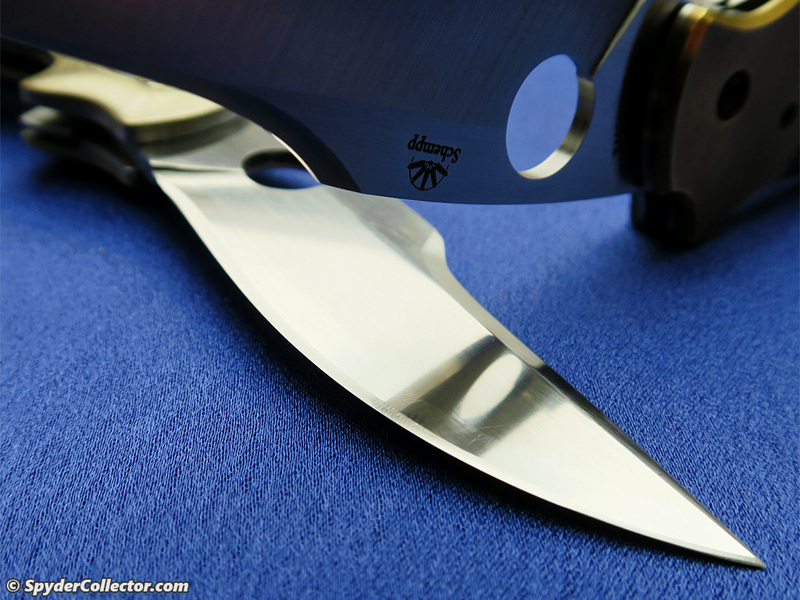 The blade was thin and light, and should be a great slicer. 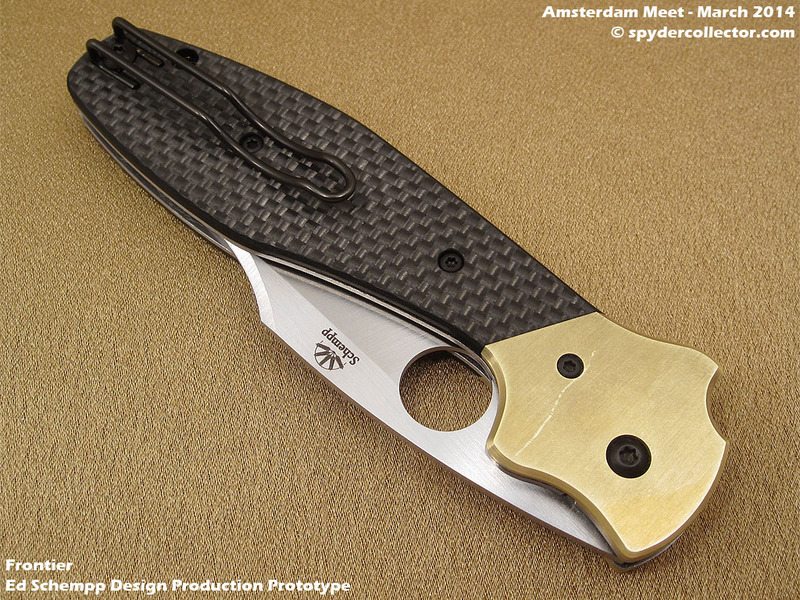 I can’t wait to get my hands on a production model for use and carry.